Even before the unprepared listener has a chance to delve into the symbolism of Tomokawa’s lyrics, s/he is bound to be elegantly nudged off balance by the singer’s oxymoronic style. Zestful melancholia, brusque intimacy and abrasive pastoralism bite softly from his violent ballads. And yes, he makes all this possible. Over the years, Tomokawa maintained the unique character of his art while transforming and adapting his musical persona. He managed to steer away from the mainstream yet seems to be aware of the changes that must have – and did – affect his audience. From an underground singer songwriter of early 1970s, Tomokawa re-emerged as a progressive acid folk bard of the late 1970s, and acoustic poet of the 1980 and an avant-folk cabaret star of the 1990s. Since the beginning of this century, he further expanded his activity into film making and bolder promotion of his charmingly emotional, primitivist paintings. Operating predominantly in the acoustic realm since the mid-1980s, Tomokawa has been fortunate enough to attract heavyweights of Japan’s improvised, jazz and avant-folk scenes. Bassist Motoharu Yoshizawa appeared on several of his recordings in the 1990s. Keiji Haino, Chihiro S of Lacrymosa, Toshiaki Ishizuka of Cinorama and Vajra, and Takero Sekijima of Compostela have all recorded with Tomokawa. He replaced the earlier trio of acoustic guitar, bass and percussion with a particularly rewarding guitar-piano-percussion format, relying heavily on Masato Nagahata, one of his most loyal collaborators. Tomokawa has been a keen interpreter of works penned in the 1920s by symbolist and dada poet Chuya Nakahara. Considered the Rimbaud of Japanese literature, Nakahara is highly regarded for the musical quality he apportioned to the rhythmic syllabism of Japanese language. Tomokawa often appears to have captured Nakahara’s spirit in his own hyperbolic 5- and 7-syllable liners. Seldom does Tomokawa seem to be perfectly satisfied with his records. Oftentimes, he returns repeatedly to some of his flagship themes, usually with satisfying results. Swimming with ease between the general indifference and devoted cult following, he has crafted for himself a lasting niche. A chromite tryad welcomes us to the spangling fretwork of high pitched mandolin (Masato Nagahata), acoustic guitar (Tomokawa) and drums (Toshiaki Ishizuka). Cracking melodic lozenges into airborne confetti, the trio imposes its lustrous effervescence evoking the most irradiant Stormy Six circa “Cliché”. Nagahata’s brisé style rushes hasty variations bordering on mini-fantasias. Not unlike Jean-Paul Sartre, Tomokawa refers to Jean Genet as a ‘saint’. But whereas Sartre focused openly on his character’s homosexuality, taste for betrayal and quest for evil, Tomokawa remains oblique and discrete in the banal enumeration of daily chores and equally banal midnight phantoms. This emphasis on extreme contrast is reflected in the parsimony of acoustic tools. The snare runs may evoke a 1940s march, but they waddle in the resplendence of pristine Mediterranean, not the urban grime of George Grosz or Otto Dix. This music has been composed to a deeply sensorial poem by Masato Katoo. Tomokawa draws vivid images of a beach and breaking surf. Kanai’s guitar exudes fireplace warmth and teams up with Nagahata’s searing mandolin. The narration exploits sudden juxtapositions of emotionally conflictive imagery. 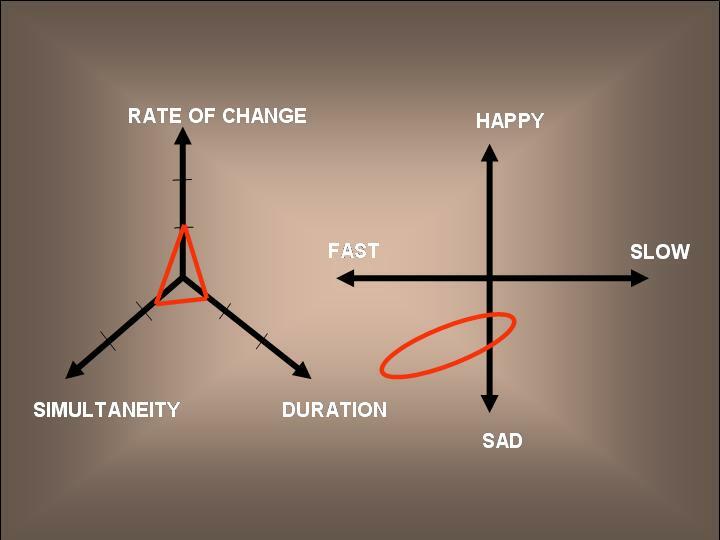 There are many modes fitting for a waltz – the pathos of grande valse, macabresque abandon, Groundhog-day type circularity. Tomokawa opts for a comedian’s waltz and chokes with his clandestine shriek at the end of each stanza. His self-gagged style is dutifully accompanied by accordion, woodblocks and acoustic guitar. In its circumambulation, the band turns up the volume, but remains disciplined under the rattle of alpine-sounding spoons. The composition of the poem betrays reliance on free association. ”Do fish sleep in the sea?” – asks Tomokawa, before sending us on a gallop jaunt with piano arpeggios and guitar chords. Engineer Takeshi Yoshida turned here the instrumental interludes into veritable orchestral cocktails of free electric guitar and abstract, taut bongos, with results reminiscent of the fibrous seams laid down by Francis Gorgé (Birgé-Gorgé-Shiroc) and Lee Underwood (Tim Buckley). The entire band swells again when the refrain comes back, with mandolin bisbigliandos, free piano and chromatic drums galore. The intensity of these improvised instrumentals mimics Tomokawa-the-singer’s dynamic extremes. His polar approach has long deleted the inelastic and conformist dynamic middle. Chuya Nakahara’s poem is introduced by a very ‘De Falla’-inspired Spanish guitar. The lattice of siliceous notes is sunny, cayenne, supple. “Samui samui hi nari ki” – a cold, very cold day is coming. Tomokawa’s basic chords on regular guitar are no match for the dolce plucking of Kanai’s nylon strings. Tomokawa’s modified haikus retain 7-syllable and 5-syllable verses, but squish them into frequently overboiling emotionalism which is at the antipodes of the detached, spiritual suggestiveness of the genre. This text, with its references to Jim Morrison, is a rather average folk rock trade with two guitars and an accordion. This tongue-in-cheek political statement could appeal to young Japanese, long disaffected by the purely notional character of the country’s democracy. Tomokawa “proposes” foundation of a new party for the rich and poor alike – named humorously Public Chief Liberty Democratic Guarantee Party, or something to this effect. The preceding two tracks have disturbed the flow of this collection, but the three closing compositions are the record’s saving grace. On “Ranke…”, Keiji Haino incinerates cobwebs of mystery, single-handedly plunging Tomokawa’s combo into a much roomier, yet invariably claustrophobic space. The singer’s acoustic guitar merely functions here as a rump percussion, while Haino’s liquid, annealing style is redolent of his most anguished of spells (e.g. “Mazu wa iro wo nakusoo”). Someone plays harmonica as Tomokawa pukes his increasingly dramatic lines against Haino’s soaring lines of karmic beauty. A descend from these heights leads down an open, inanimate, deserted slope – with skeletal acoustic guitar as our only companion. Only a handful of singer-songwriters managed to fuse their percussive piano style with a lasting sense of personal drama – Brel, Grechuta, Alvaro come to mind. Tomokawa’s melodramatic exposé doubles the tension with the use of a march-like drum, which releases the acoustic keyboard into a concerto scale resonance. Fluent slide touch from Kanai on his Spanish guitar again enriches this tight metric with a measure of improvised individualism. This interplay of Nagahata’s grand dramatism on the piano with the cozy guitar whispers is mediated by the excellent stick work on slash cymbal work by Ishizuka. “At the bifurcation of the skies (…), the vividness lasts forever”. The finale takes us into a supermundane territory. On this track, Haino’s guitar work moves closer to his Fushitsusha nights – awash with drilling thrusts and throttles. Free, lateral drumming and spasmodic recitation of an agonizingly patrilineal text by Yutaka Kikuchi transform this piece into a stormy tide of seething avant-rock. In this mostly atonal environment, Tomokawa privileges chaos, allowing Ishizuka to deploy his panoply of tools in an aperiodic, vector-free fashion. Tomokawa strangles the tortured strings of his acoustic guitar with abandon worthy of Kan Mikami. Against the background of Haino’s brutal guitar malice, Tomokawa’s screams gravitate – unusually for him – towards the lower register. Ishizuka’s colorful use of cymbals avoids any interaction with the waves of guitar feedback. Haino ends this epic chapter with an impromptu staccato. There are also several compilations, and collections of previously published, but rearranged works. Tomokawa’s earliest singles (solo and with Downtown Boogiewoogie Band) can be found Toshiba sampler “Neko ga nemutte iru“ (1974). He also appears on compilation “International Sad Hits Volume 1”. 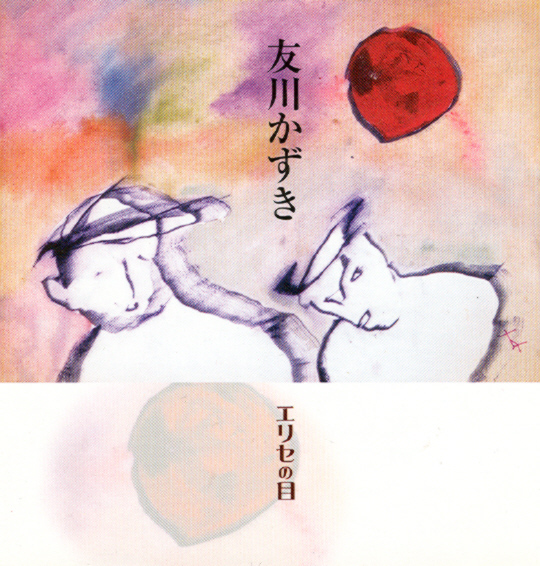 For those who wish to step into his fascinating world, I particularly recommend the CDs recorded in the 1990s, even though the artistic breakthrough probably came with “Muzan no bi”, whose title song could be one of Tomokawa’s best compositions ever. Since the beginning of this century, Tomokawa has benefitted from increased name recognition and most of his recent output consists of re-recorded earlier material and live documents. He also plunged into collaboration with filmmakers (Koji Wakamatsu, Takashi Miike and Rokuro Mochizuki), inevitably leading to slowdown in his activity as a composer of new material.